A team of sciences from the RUDN Institute of Medicine has reported how reactive oxygen species (ROSs) affect the resistance of ovarian cancer cells to chemotherapy on the example of cisplatin—an antitumor drug used to treat this type of malignant growth. Practical application of the research results would help improve medical treatment schemes for cancer patients. The article was published in the Materials of FEBS Congress. Long-term use of anti-cancer drugs may lead to the development of drug resistance, reducing the efficiency of chemotherapy. Scientists are aware of several mechanisms for drug resistance development in tumor cells. They are to a large extent associated with the activation of proteins that get medicinal drugs out of cells, as well as with changes in the genes controlling cell survival and programmed cell death (apoptosis). One of the least studied mechanisms of drug resistance development is connected with the influence of ROSs in cells that can destroy organic molecules. RUDN biochemists studied the mechanism of drug resistance development in ovarian cancer cells under treatment with cisplatin. 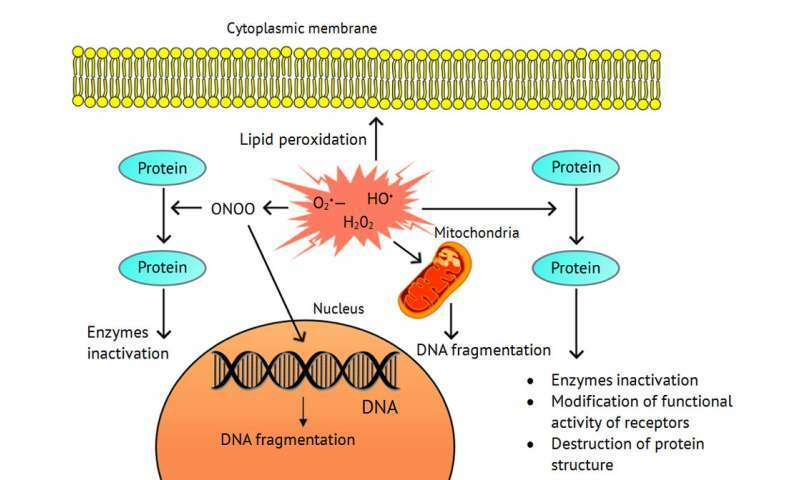 The researchers found that the process was connected with increased expression of genes of key antioxidant enzymes: Mn-superoxide dismutase, catalase, glutathione peroxidase-1, hemoxygenase-1, as well as reduced expression of the enzyme NADPH-oxidase, which is responsible for ROS generation in the cell. In the normal state, there is a balance between the formation and destruction of ROSs. Any changes in this balance may cause damage in the internal structure of the cells, leading to number of diseases, including cancer. On the other hand, high concentrations of ROSs may also lead to the death of cancer cells. This effect is used in cancer therapy, and cisplatin may operate on a similar principle. In their work, the scientists used the real-time RT-PCR method and western blotting to evaluate gene expression. The discovered that the redox-dependent mechanism of drug resistance development shows how well tumor cells can adapt to negative environmental conditions. The mechanism helps healthy cells survive, but hinders the treatment of malignant tumors. "We found that under treatment of the ovarian cancer cells with cisplatin, a new mechanism is triggered, changing the balance between generation and elimination of ROSs; it is called the adaptive antioxidant response. The mechanism of drug resistance development would help create new combined methods for ovarian cancer treatment," said Elena Kalinina, the author of the study, doctor of biological science, and professor of RUDN Institute of Medicine.